As the second Democratic primary debate unfolds in Des Moines, Adam Sharp, Twitter's head of news, government and elections, hopes that Twitter users everywhere will be able to experience the debate as if they're watching "on the world's largest couch," with instant feedback from the thousands of viewers engaging on the app. Twitter is teaming up with CBS News for Saturday's Democratic primary debate in Iowa, marking its first official presence in a presidential debate. It will work like this: CBS News producers, equipped with Twitter's curation tools, will whittle down the millions of tweets about the debate and select some for use on the broadcast. The official hashtag will be #DemDebate. CBS will also be able to formulate questions for the three candidates, Hillary Clinton, Bernie Sanders and Martin O'Malley, based on real-time Twitter conversations and data, with an eye to bringing to the debate stage the issues viewers are most interested in. The broadcasts airing on television and CBS News' digital streaming network, CBSN, will also include real-time charts and graphs of Twitter users' interests and engagement. "These charts will paint out live how the conversation is twisting and turning," Sharp told CBS News. The live engagement data can show which patterns are brief spikes and which ones build. "You start to see these patterns of how the debates affect the conversation," Sharp explained. He pointed to former tech executive Carly Fiorina's first undercard debate performance, where her initial splash on the scene catapulted her into the main debate stage for the next Republican forum -- and kept her there. "When [Twitter] conversation on candidates like Fiorina spiked," Sharp said, "they never returned to the levels where they were before." Other metrics, like how many Twitter followers are generated during a debate, might provide a window into a candidate's increasing popularity. His prominence on the social media site coincides with a rise in the polls: In recent national surveys, Carson has pulled into a virtual tie with Donald Trump. Twitter also places a premium on the difference between real-time analytics and numbers available only after the event's conclusion. "With the Republican debates, these are bits of data released at the end of the debate," Sharp said. But by the time a debate ends -- often late into the evening -- the interest surrounding the event may have already waned. Instead, for the Democratic debate, the data will be available as the trends unfold. For CBS News, president David Rhodes has said that "Twitter integration will inform our coverage and integrate seamlessly with CBSN, our always-on digital network." That online network, which viewers can access 24 hours a day at CBSNews.com/live, will provide "a real time stream of conversation and reaction from members of the community," Sharp said. "It really brings the process back to participatory democracy, rather than the debate just being a TV interview." Twitter's prominence in the political sphere has evolved since 2012's White House race. Though engagement may have peaked in 2012 with the announcement of President Obama's re-election -- which broke the site's records with more than 327,000 tweets sent per minute -- the most tweeted-about event in U.S. political history -- in the 2016 cycle, Sharp sees the company's role as as "Twitter Election 2.0, where we're no longer talking to campaigns and trying to sell them on Twitter and using it." Now, candidates are paying close attention to Twitter, even doling out big bucks to advertise on the platform. During the last Democratic debate in Las Vegas, Sen. Bernie Sanders paid a six-figure amount to promote the hashtag #DebateWithBernie, a first for a campaign. Engaging with candidates on the social media app has also expanded in scope. No longer are users limited to tweeting 140-character statements of support or disapproval -- voters can also flex their political muscle by donating to campaigns. In a partnership with mobile payment company Square, the app now allows users to send money directly to candidates using "$Cashtag." 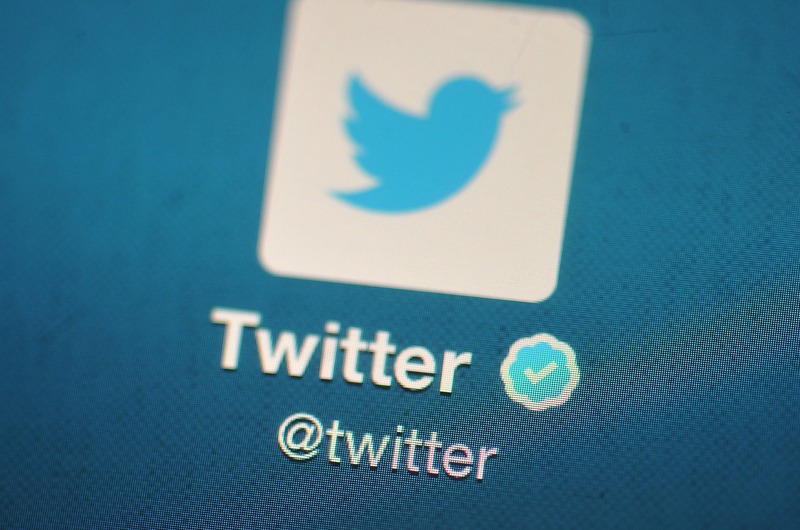 Nearly all 2016 campaigns have implemented the feature, according to Twitter.